Okay, that's it! I've literally waited as long as I could, but I can't put it off any longer! 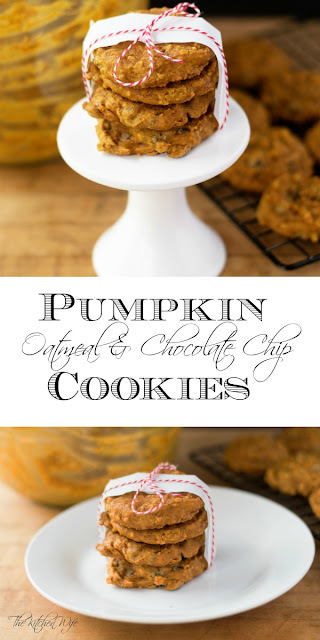 September has arrived and its time to start adding all things pumpkin to the blog! 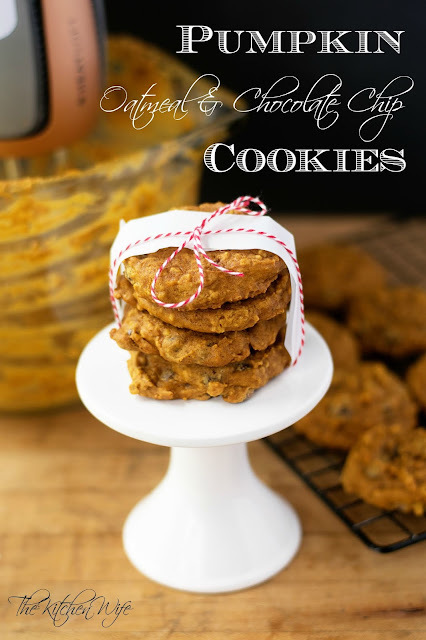 I've been looking forward to this for a while now, so to kick things off I'm going to share with you my Pumpkin Oatmeal & Chocolate Chip Cookie Recipe! Next combine the granulated sugar, brown sugar, and butter into a mixing bow and blend until smooth. Now you can add HALF of the flour and oats. Mix them into the pumpkin mixture. After that add the rest of the flour and oats and mix them in as well. Its time for the good stuff...adding the chocolate chips! Gently fold them into a spatula until they are worked into the dough. Now spoon out approximaly 12, Tbsp sized dough balls on a baking sheet. Bake in a 350 degree oven for 13-15 minutes. Let cook on the baking sheet for 10 minutes, then transfer to a cooling rack. And there you have it! Delicious, chewy, warm, and spicy Pumpkin Oatmeal and Chocolate Chip Cookies! 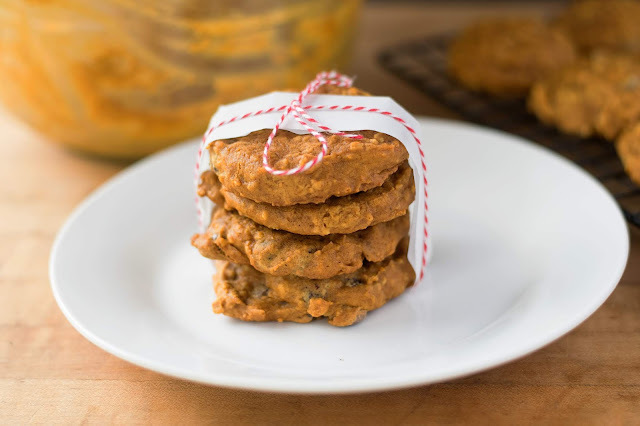 These cake-like cookies are perfect for snacking on by a fire pit or dipping into all of those pumpkin spice lattes I KNOW you are already indulging in! I know you're gonna love them so get in the kitchen and give them a try TONIGHT! Combine the sugars and butter into a mixing bowl and mix until smooth. Add the egg, pumpkin, pumpkin pie spice, and vanilla to the mixing bowl and mix that until smooth as well. Add HALF of the four and oats to the mixing bowl. Mix until fully combined. Add the other half of the flour and oats as well as the baking soda and salt. Mix until smooth. Add the chocolate chips and gently fold into the dough with a rubber spatula. Place approximatly 12 tablespoon-sized balls of cookie dough on a baking sheet. Place the baking sheet into the 350 degree oven and bake for 13-15 minutes. Remove the baking sheet from the oven and let cool for 10 minutes, then transfer to a cooling rack.